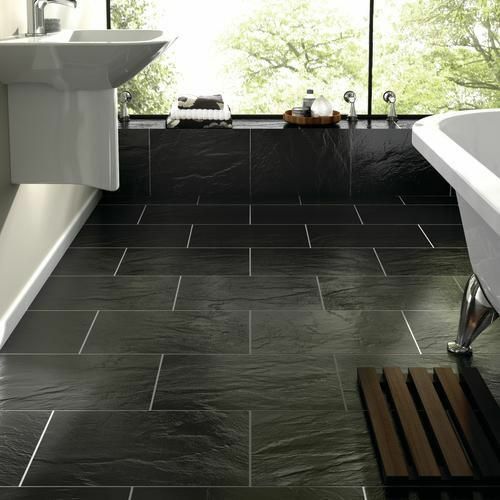 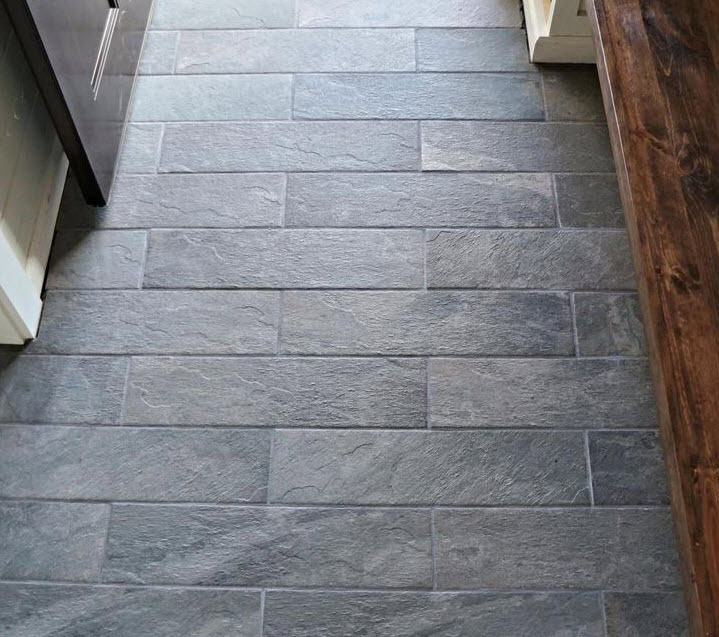 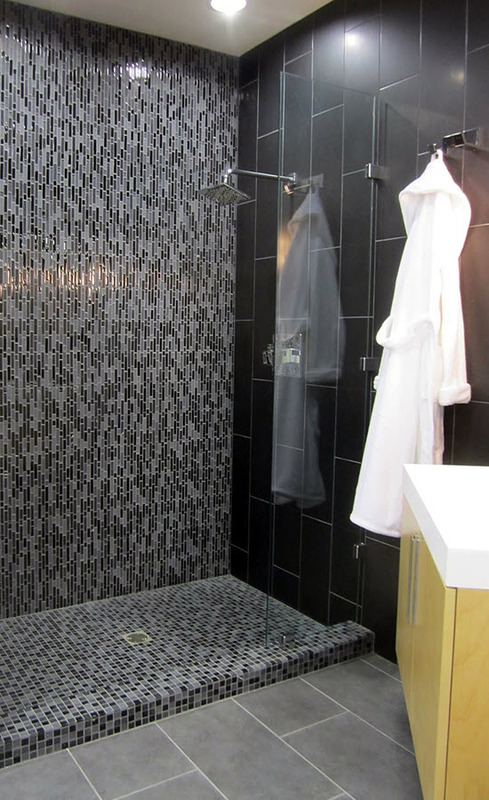 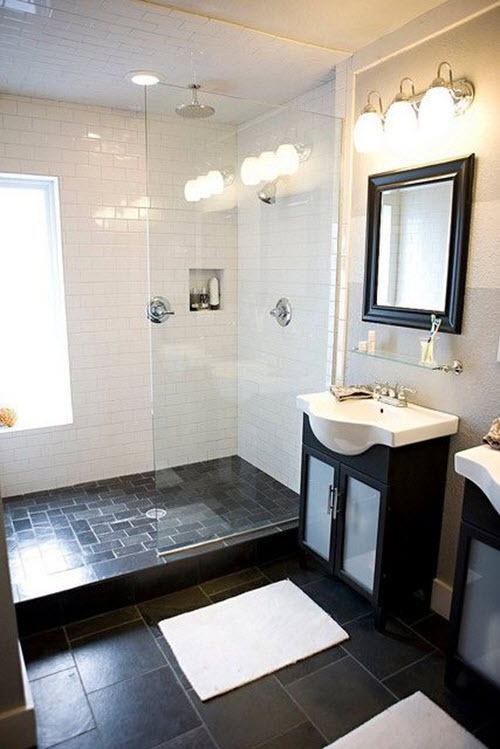 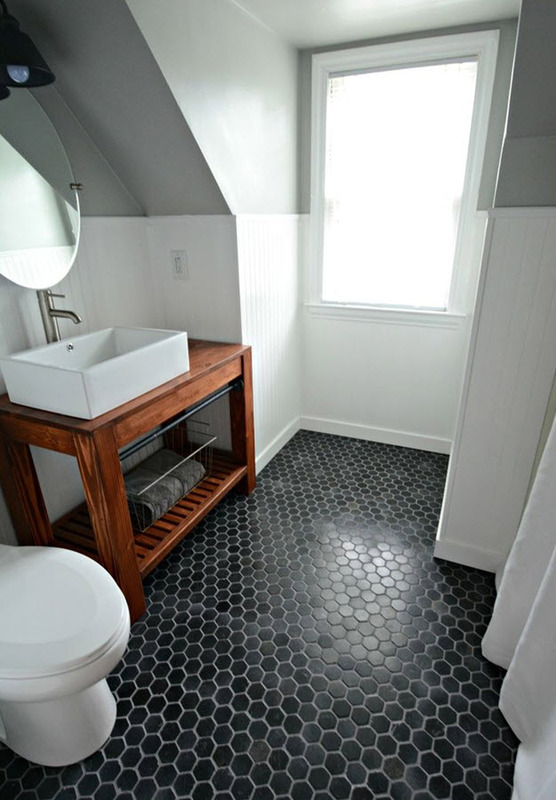 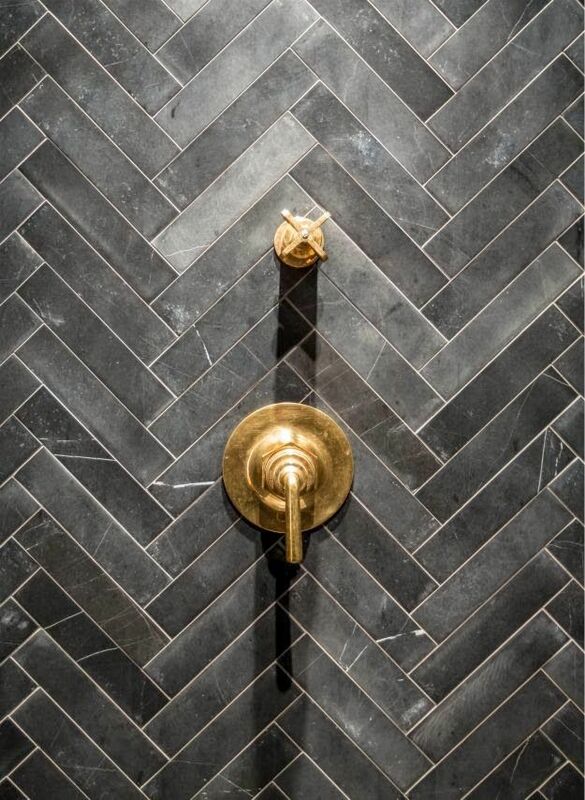 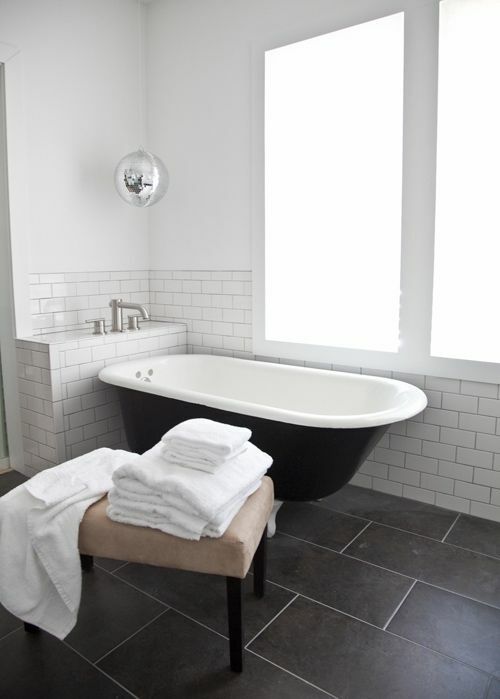 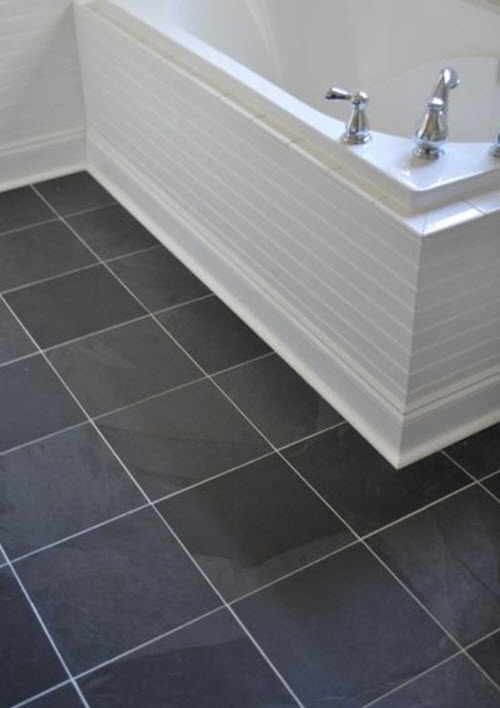 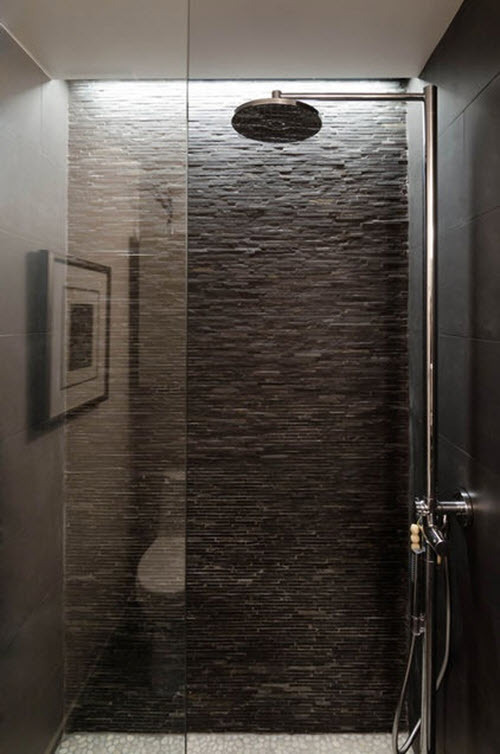 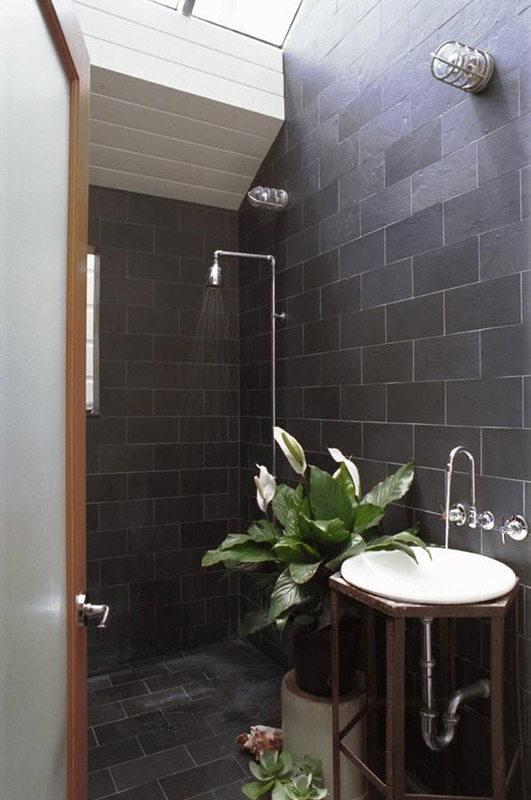 Black slate bathroom tile is getting more and more popular gaining attention among both designers and regular “mortals”. 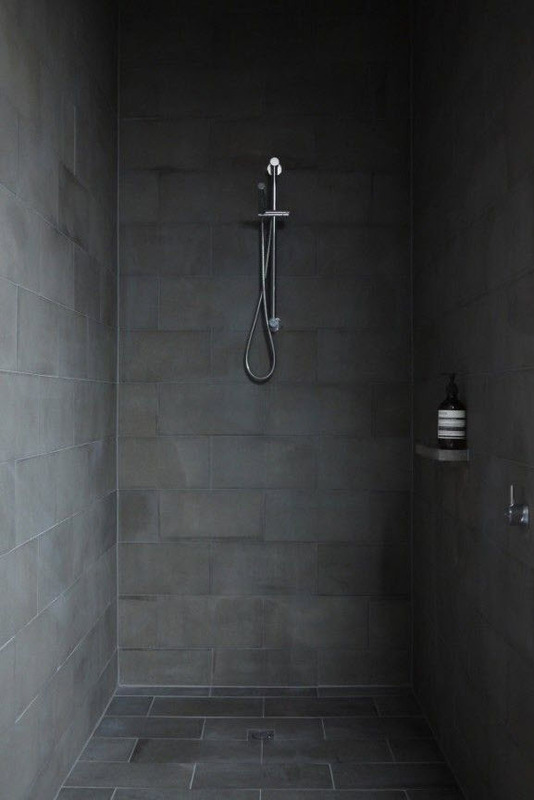 There are many reasons for it. 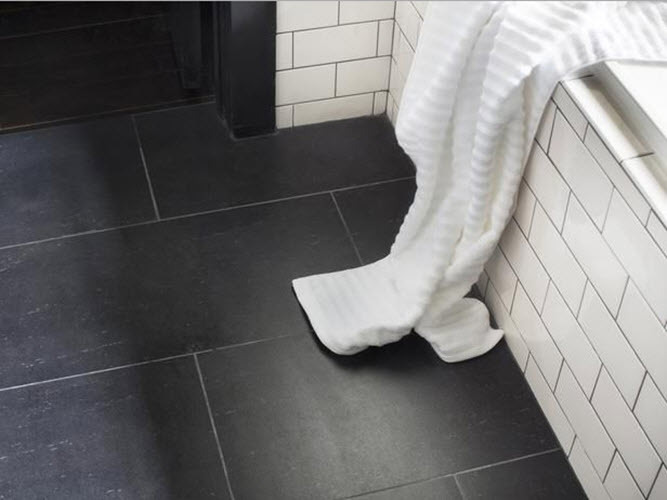 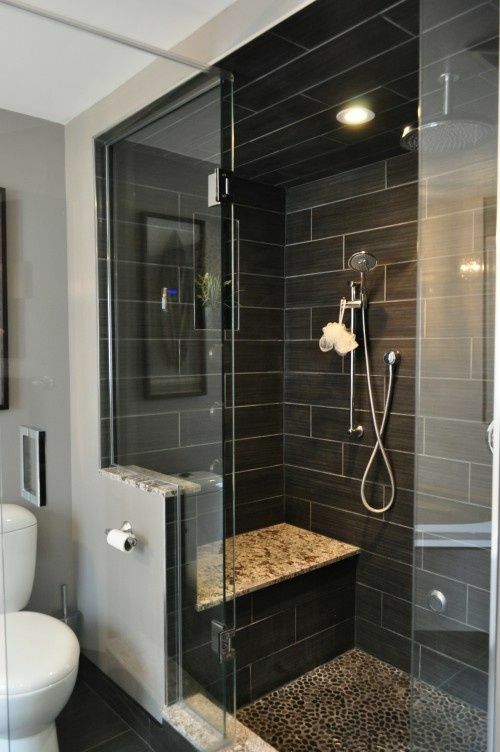 First of all, it’s durable and waterproof so it suits wet spaces best of all. 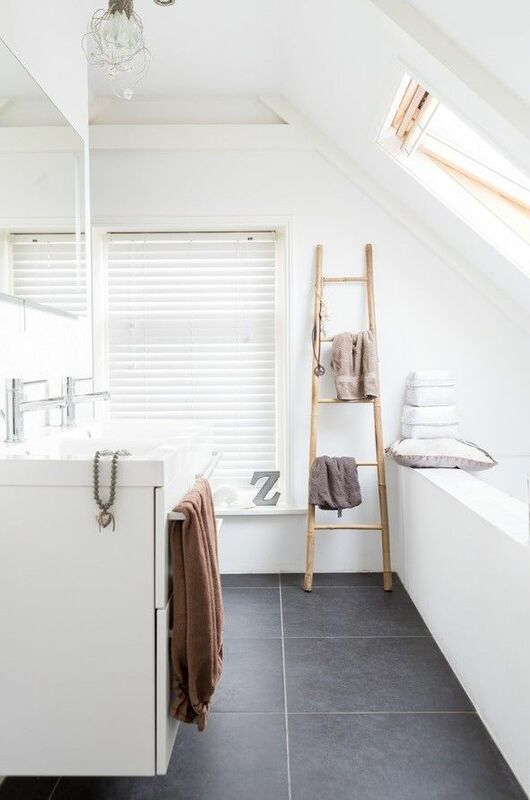 Secondly, it can fit any interior style – usually it is used in modern, minimalistic and hi-tech interiors but can also suit classic or even Victorian style acting like a wonderful backdrop to your bathroom decor items. 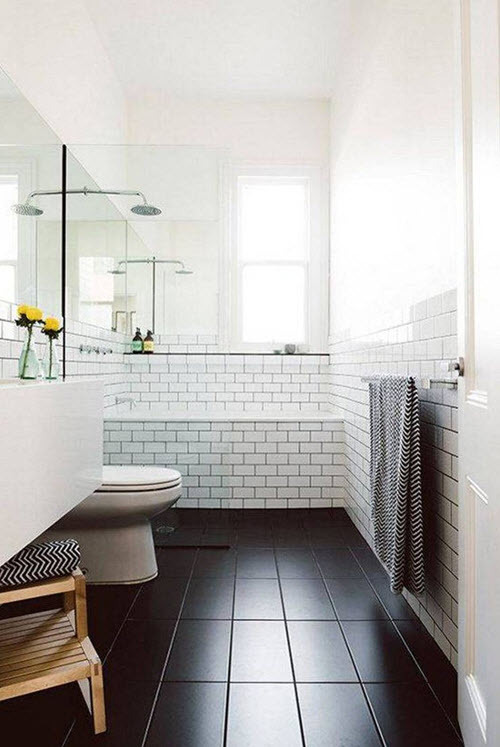 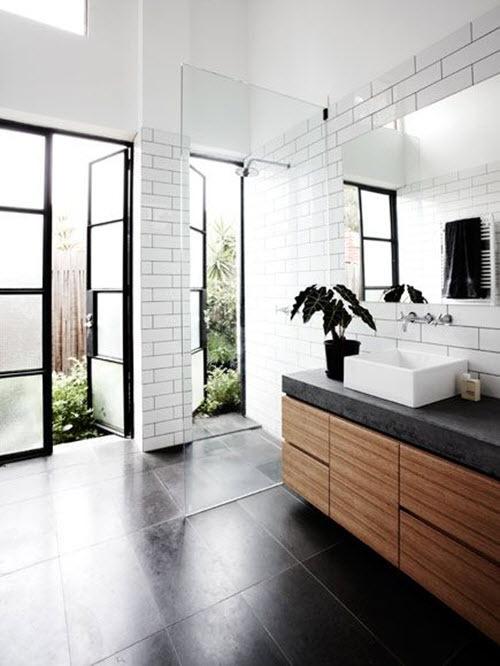 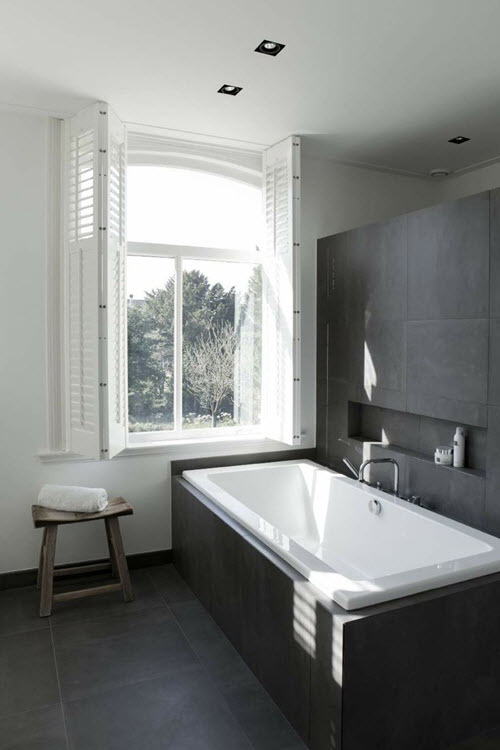 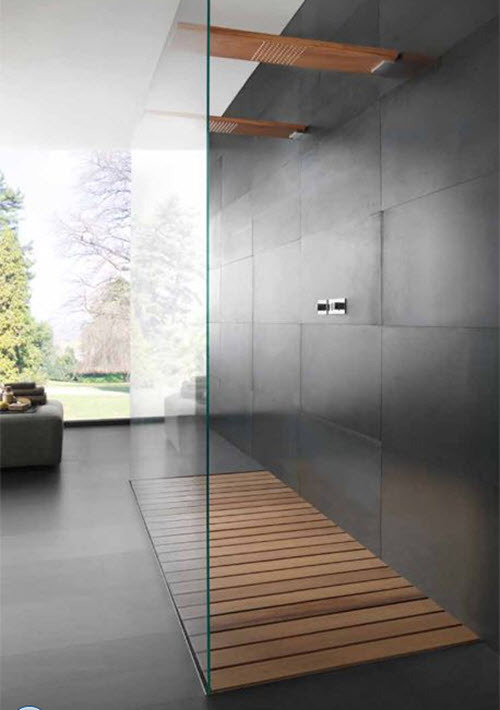 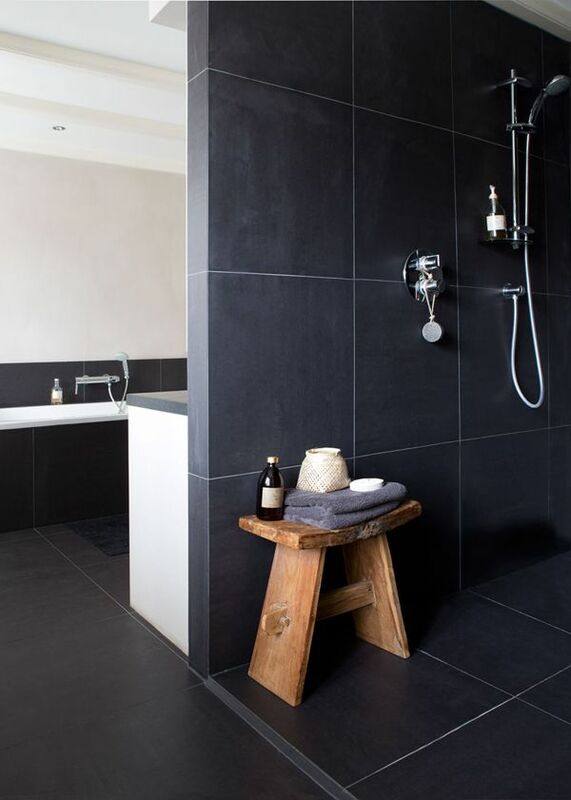 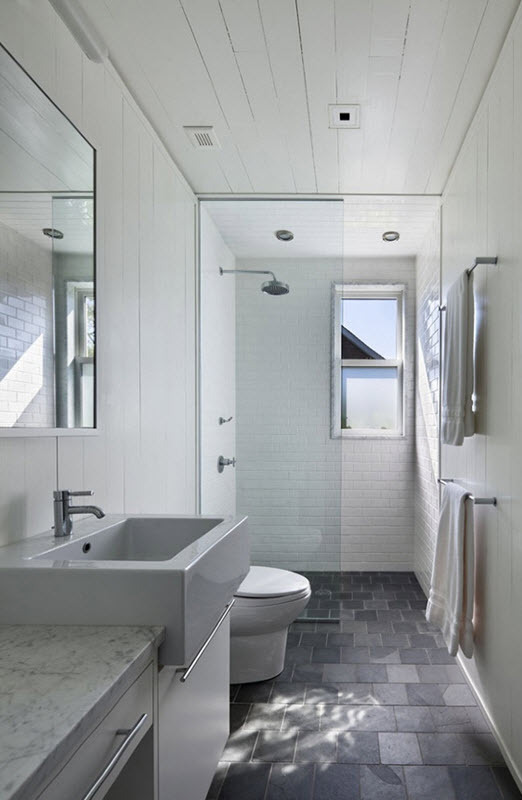 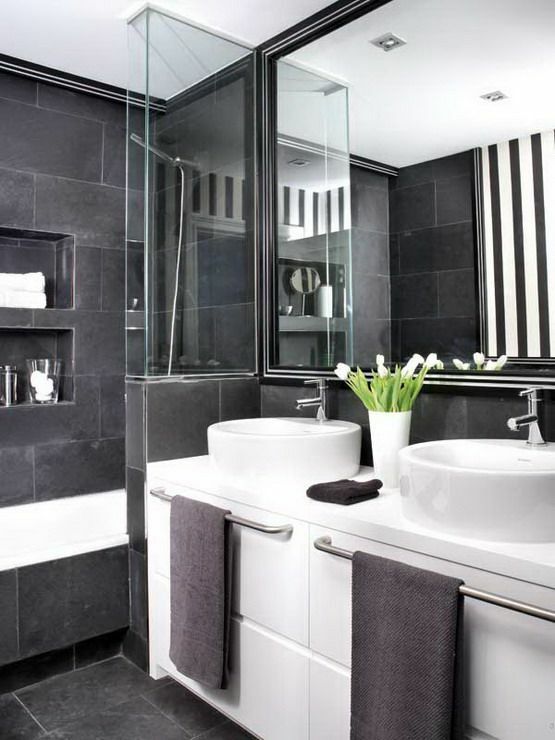 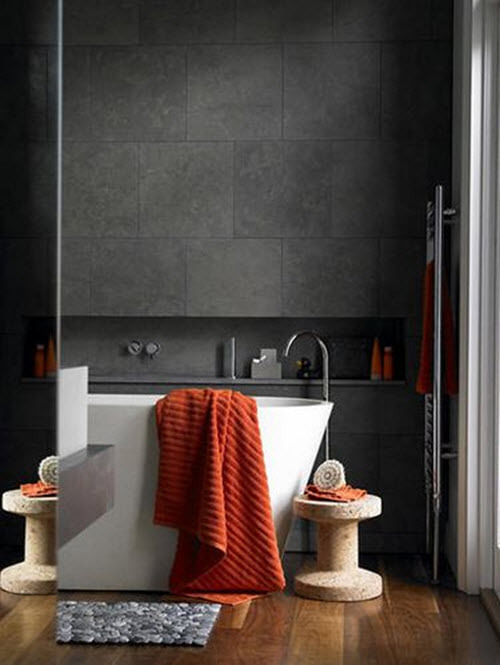 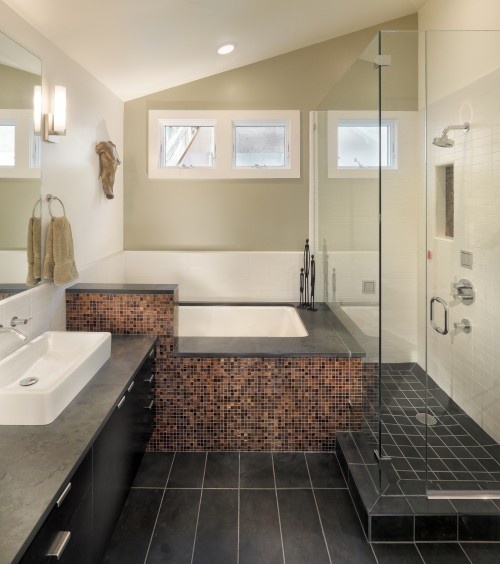 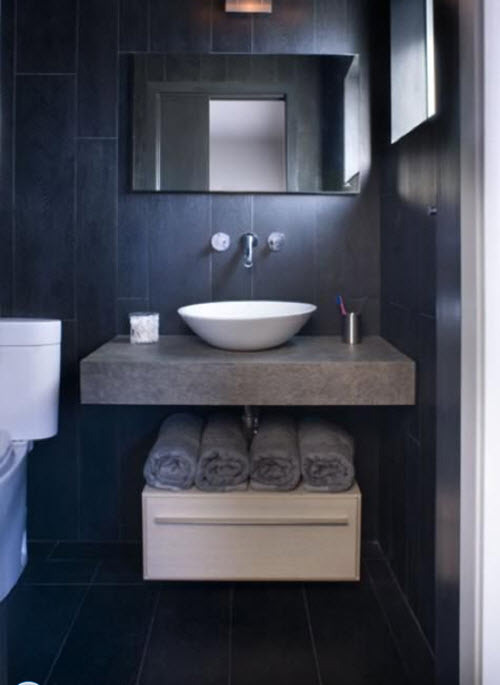 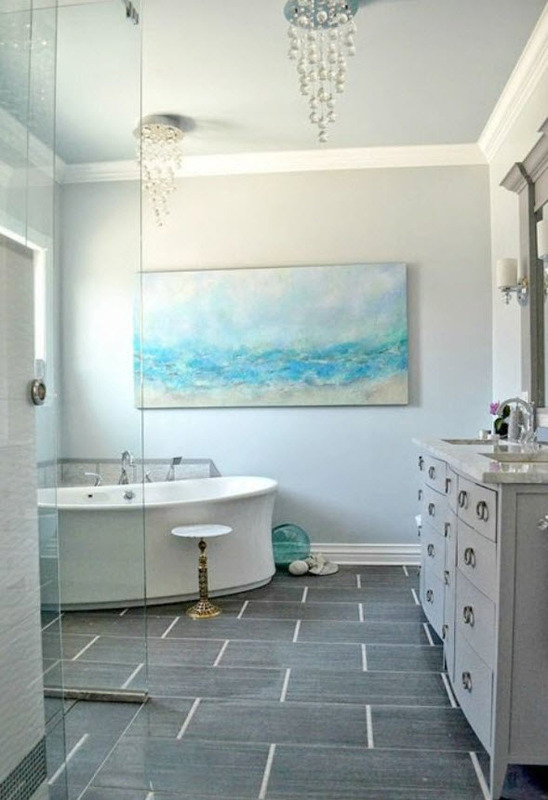 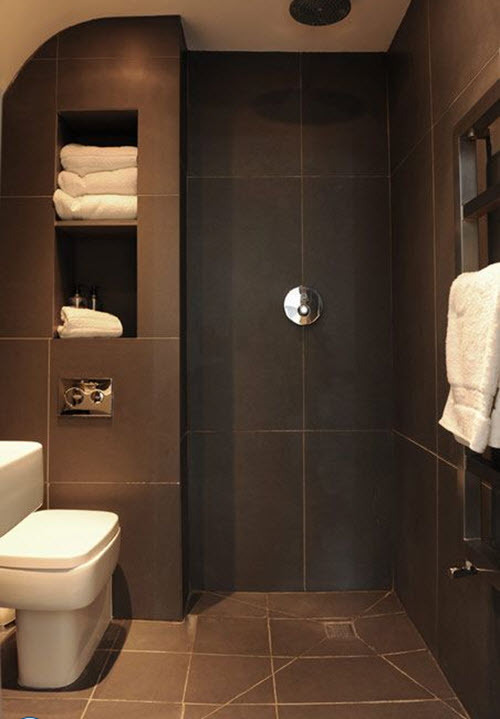 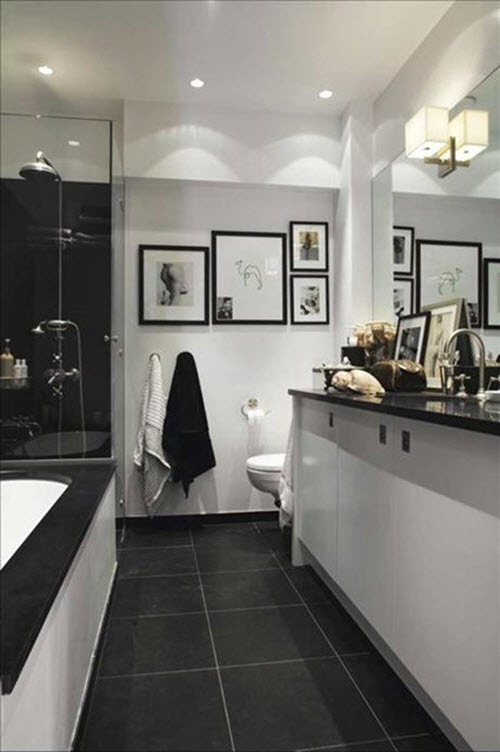 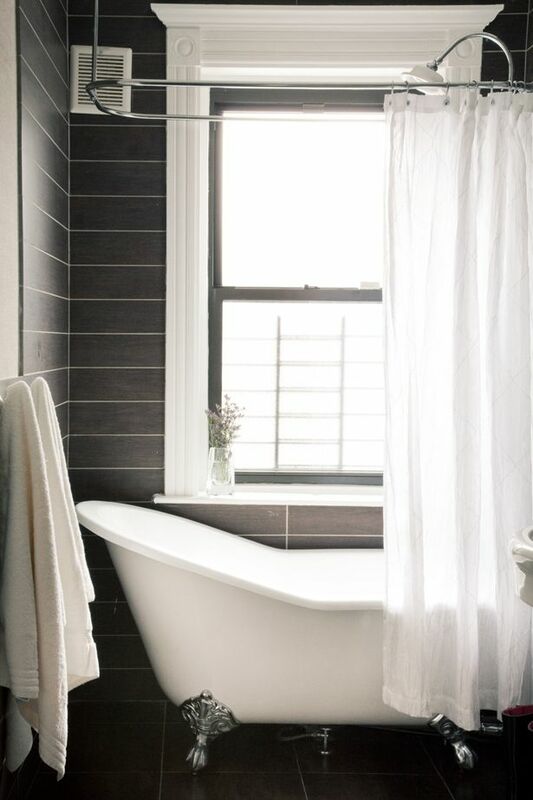 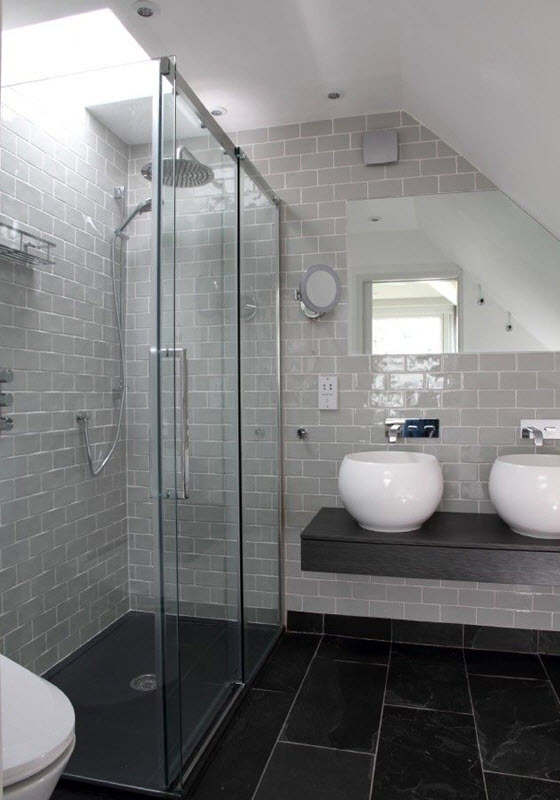 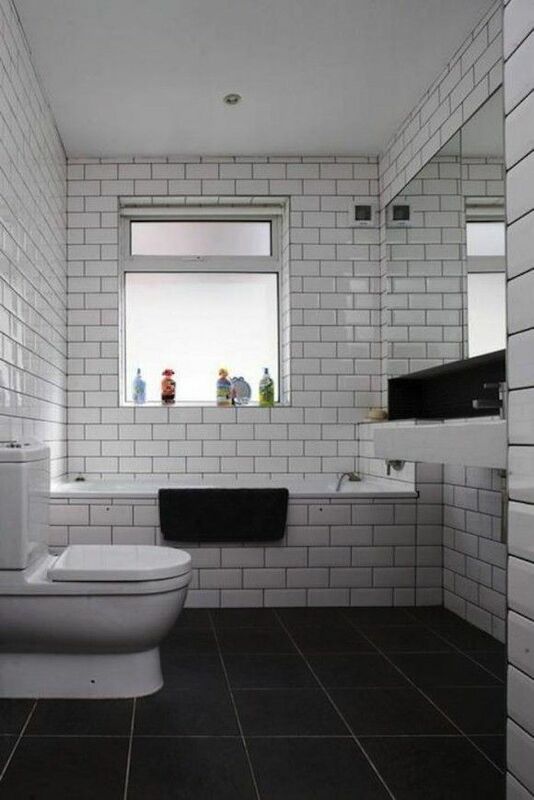 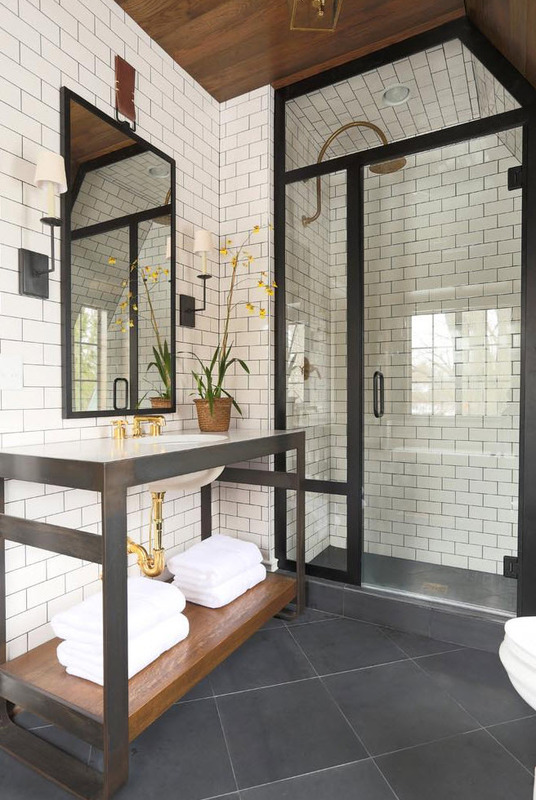 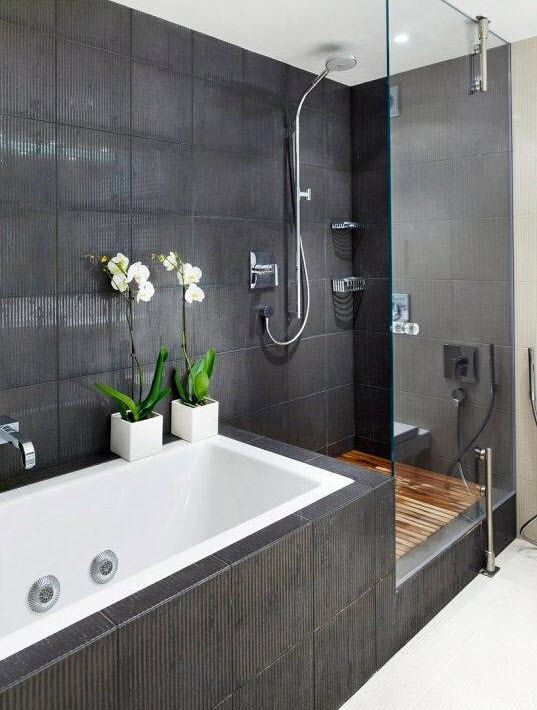 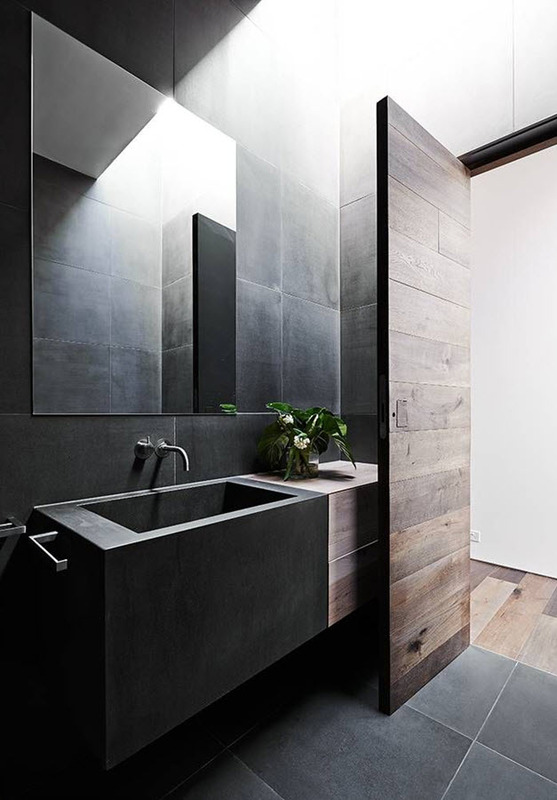 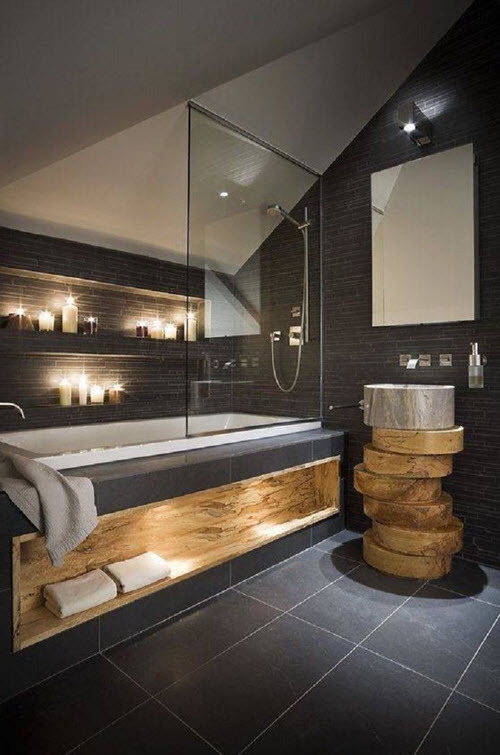 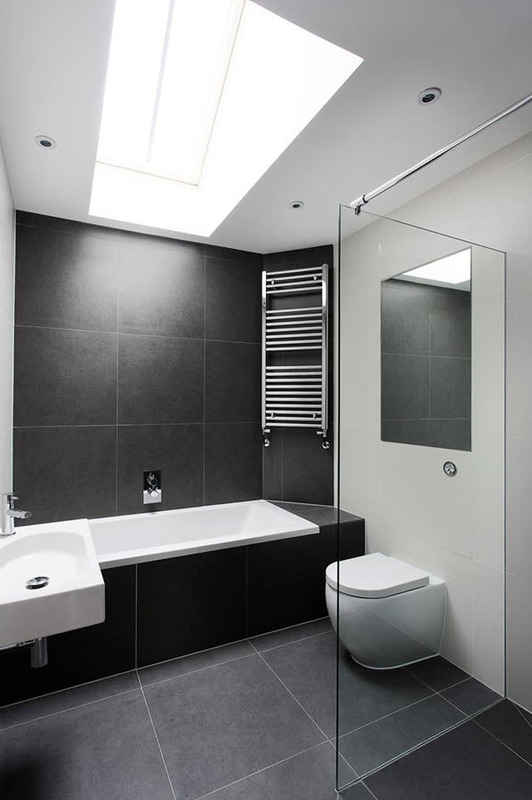 If you are a lucky owner of big bathroom then black slate tiles are your best choice as they can create a certain sense of freedom without making the space visually smaller. 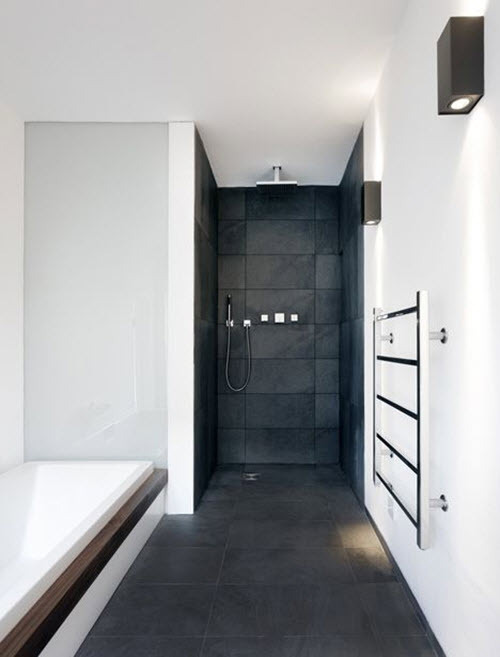 There are so many options concerning sizes, shapes and patterns that you can get lost if you don’t know what you want. 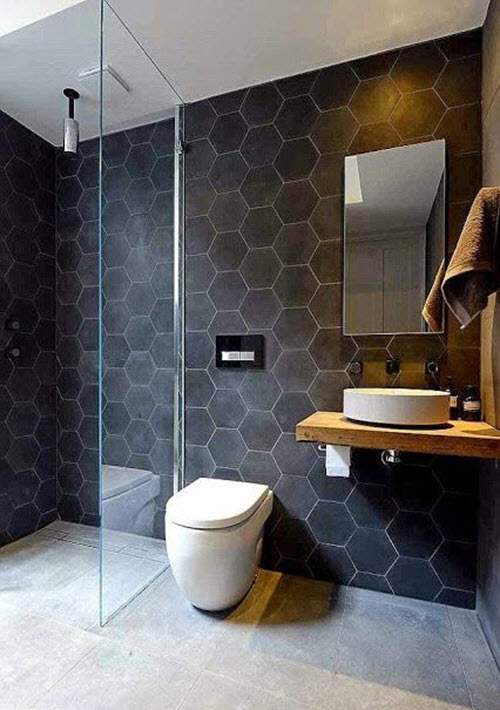 The most popular variants are square or hexagon tiles that add certain texture or act like a simple backdrop for something more statement-like. 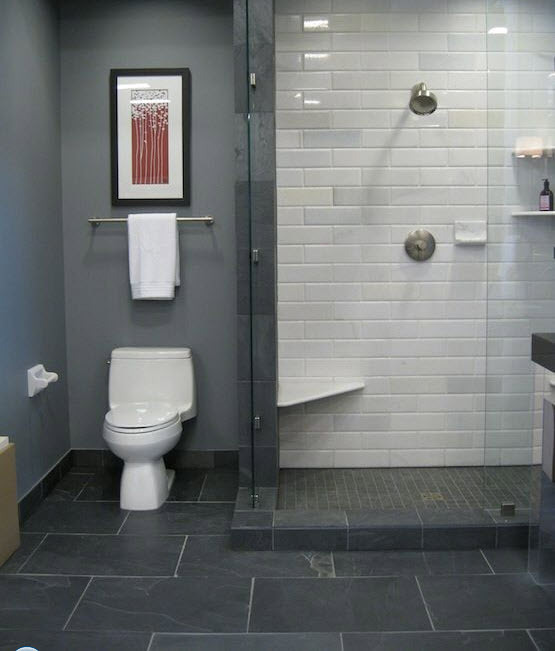 The ideas below will help you make the right choice painlessly.